Among a collection of mouth watering recipes, this one is also super in taste with a perfect blend of texture. 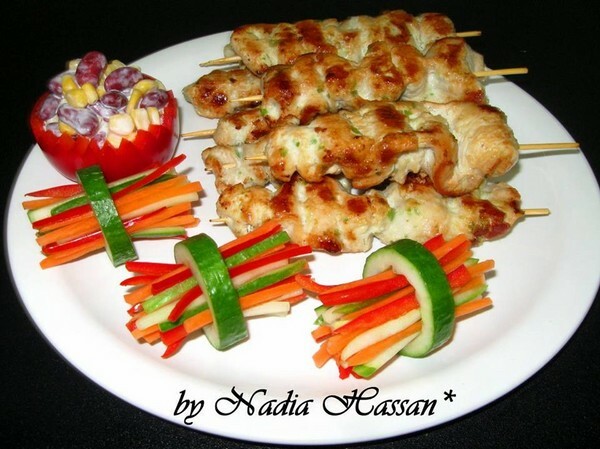 You can serve Reshmi Kabab as side dish. Marinate chicken with all the above ingredients for over night or at least 5, to 6 hours. Now skewer all chicken strips like zig zag . When all sticks complete pan fry with very little oil till done. In end give charcoal steam. Serve with salad & fresh veggies . You can also grill in oven at 180 degree C for 25 to 30 minutes from both sides. In half way brush oil on kabab.